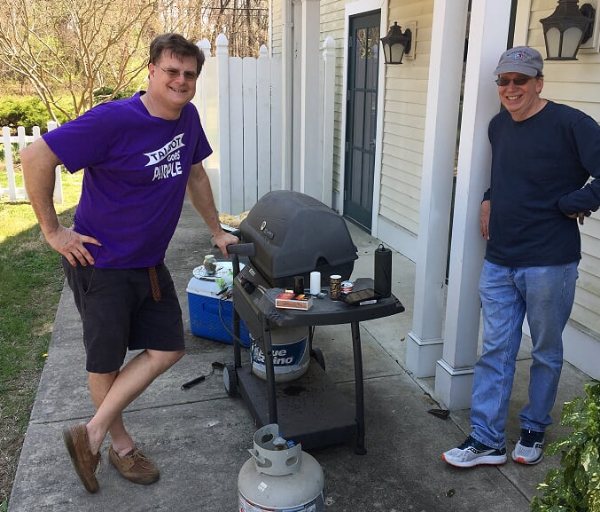 I showed up at UUFE Garden Day and learned how to use my grill. Kara said, Bring your garden tools and your grill. We’re doing chicken. I said, I use my grill maybe once every three years. She said, No problem. Doug will be Grillmaster. We beautified the garden beds and took down holiday decorations. Parents and kids … read more. Kara Crissey, our very own certified professional Horticulturalist has asked that any member with a fruit-bearing pear tree arrange to bring her an 18″ clipping. she will graft it to our large bradford pear, and in a year or two we will have delicious pears! … read more. Talk about a steep learning curve! As the stil-wet-behind-the-ears Buildings & Grounds Committee chair, it has been an interesting month. With the cold snap our small oil-fired boiler has been put to the test. Over the summer we had decided to buy some hard to … read more. The Art and Beauty and Soul of the Garden. And of Ourselves. I was at UUFE Autumn Weeding Day. I was kneeling in front of a garden bed full of wiregrass. 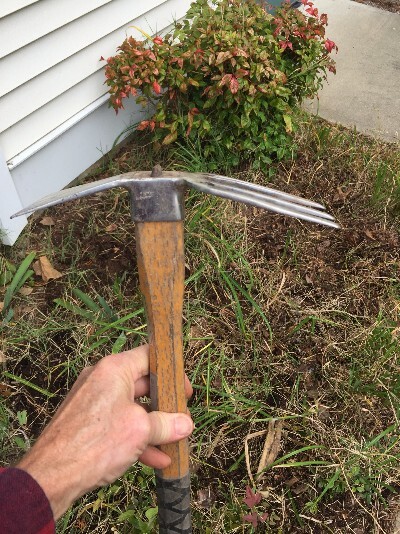 A Zen moment before I attacked it with Ann Davis’s Japanese samurai mattock. One Heavenly … read more. Join the UUFE Fall Garden Cleanup Saturday, November 4, 9 am to noon. There will be plenty of mulch and plenty of weeds. Please bring your gloves, gardening tools, & a personal water bottle. Broken limb on holly … read more. Please contact Kara Crissey @ goodearthgardeners@gmail.com or 814.262.5702 if you will be able to attend the … read more.